We may be rounding out the second annual Lehigh Valley Beer Week, but that doesn&apos;t mean that the fun slows down! Hopefully, you&apos;ve made it out to a couple events this week- there have been some great offerings! The official ribbon cutting took place this past Sunday at the Allentown Brew Works. 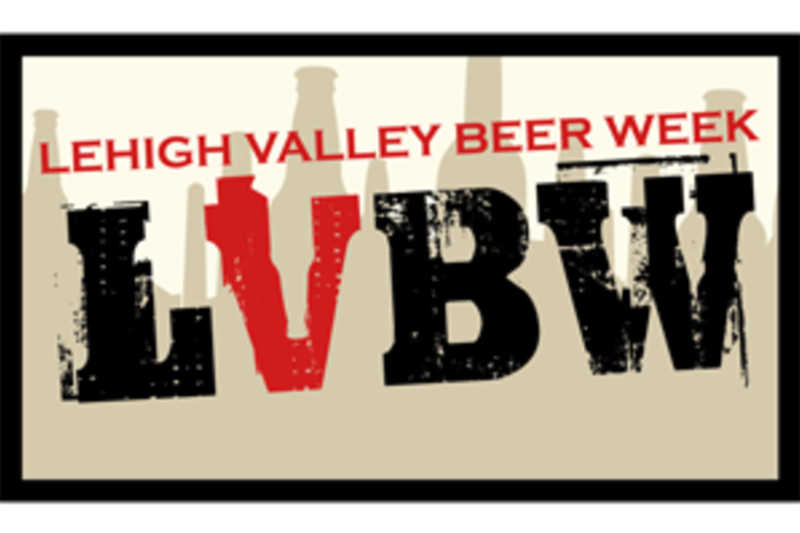 Attendees were invited to sample the new LVBW2, a beer created by homebrewer John Boncik that was selected as the official beer of Beer Week at a homebrewing competition last fall. Throughout the week, beer lovers have had the chance to celebrate with flight nights (I stopped by the Tavern on Liberty on Wednesday night to try some Hijinx beers! ), discounts at bottle shops, brunches, beer dinners, and more! If you haven’t made an appearance at any events yet, don’t worry! Beer Week continues through this Sunday, and there are still plenty of good times to be had. Enjoy a bit of Game of Thrones action with Ommegang’s latest medieval themed beer at Two Rivers Brewing Co.
Dine at Allentown Brew Works, where they will be hosting its annual Beer Lover’s Dinner. This year&apos;s menu features nine craft beers paired with five delicious courses. Try something new and stop over to see our friends at The Colony Meadery and sample some of the meads they&apos;ve been working on- plus, they have some great happy hour specials! Be sure to stop by Maxim’s 22 in Easton for Sour Saturday. This is a ticketed event, and they will have 22 Lambic & Sour beers available! Visit The Wooden Match as they pair with another Lehigh Valley favorite, Weyerbacher Brewing Company to host a tap takeover night. Opt for something a little different and visit the members of the BeerMuda Triangle (Two Rivers Brewing Co., Porters’ Pub, and Black & Blue) who will be putting on a Brewe de Krewe Parade and Mardi Crawl. Why not start your Mardi Gras celebration a little early? Blues, Brew and Brunch happening at Bethlehem Brew Works featuring live music from Heath Mensher and Joe Mixon. A relaxing afternoon at Leaf Restaurant & Cigar Bar where you can enjoy some Free Will Brewing Co. selections from 3-5 p.m.
Our highlights just barely scratch the surface of all the exciting things going on. To view the full list of upcoming Beer Week events, check out their calendar here. If you haven’t had your fill of beers after this week or you just want to keep the ball rolling, be sure to check out the Lehigh Valley Ale Trail. We&apos;ve highlighted some of our favorite locations for craft beers in Lehigh Valley, including breweries, bars, pubs, and shops. Be sure to check out our suggestions and as always, drink responsibly! Are we missing your favorite location on the Ale Trail? Let us know in the comments section below, and we’ll be on it!